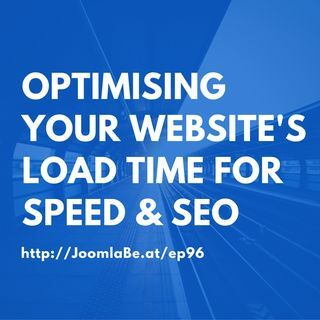 Learn how you can optimise the speed and load times of your website in order to reduce bandwidth, increase your search engine rankings and improve website usability just by installing a few extensions on your website. Peter covers a few fantastic extensions that will allow you to optimise your website for speed and turn it from a 1980's Toyota Corolla into a high performing Lotus Elise, or Porche 911 or Tesla (for the more eco minded). Peter also covers some news and happenings in the ... See More Joomla industry from the change over of the Joomla Transition Team, Joomla Events around the world including the upcoming Joomla Day Australia being held in Brisbane and the formation of the new Joomla UX team looking at Joomla 4 and beyond.